Alpha and beta key concept art. 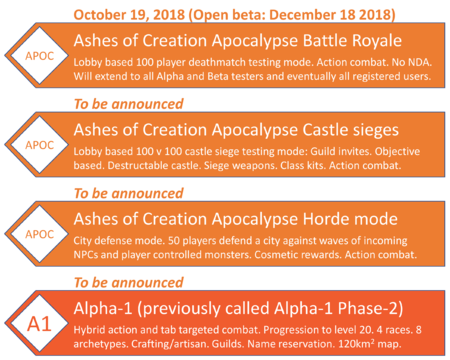 Alpha-0 and "Beta-0" are the invite-only "raffle" alpha and beta test phases. Alpha-1, Alpha-2, Beta-1, and Beta-2 were available for purchase during the Kickstarter and Summer crowdfunding campaigns. 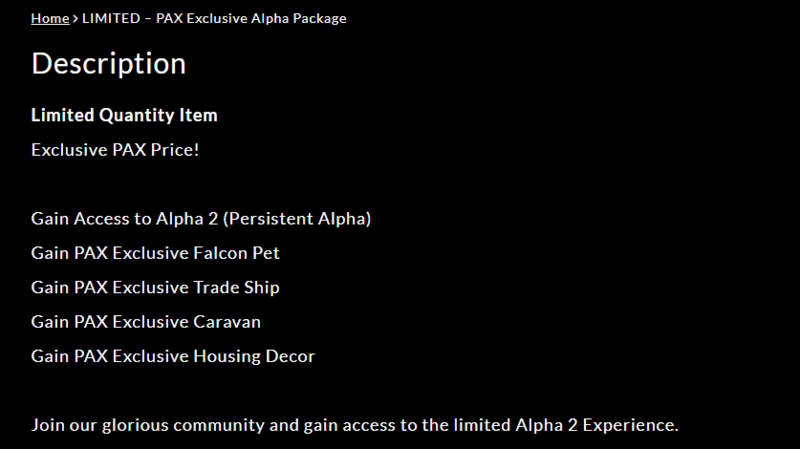 Alpha-1 was available in the Intrepid pre-order pack from the cosmetic store. 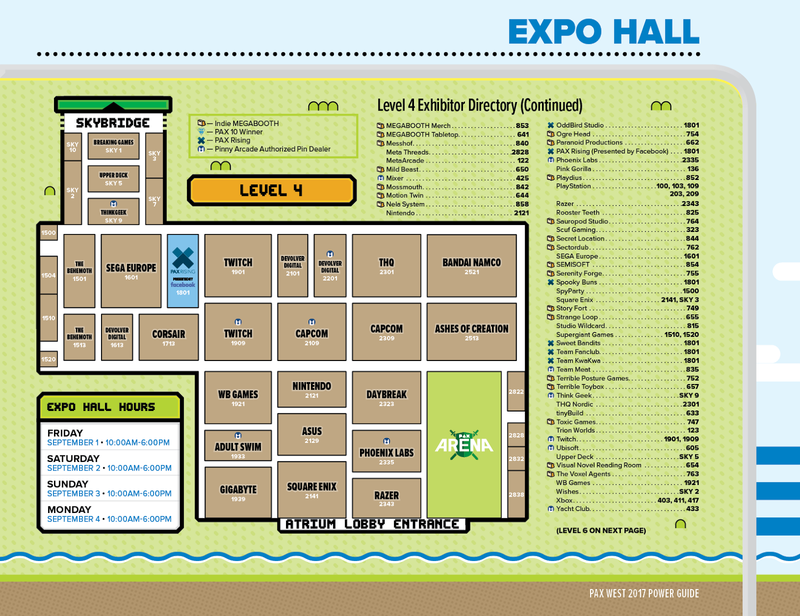 Alpha-2 and Beta-2 were available during PAX West 2017. Alpha-2, Beta-1, and Beta-2 are currently available in Pre-order packs on the cosmetic store. 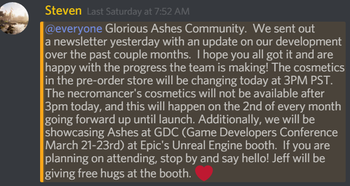 The Ashes of Creation Apocalypse will be released as a bonus to the community. 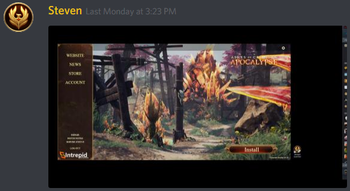 24/7 hour testing of Ashes of Creation Apocalypse is scheduled to start between mid November and mid to late December 2018. This mode will not be in the full Ashes of Creation MMORPG. It may be implemented as a side mode dependent on feedback from testers. Q: There are a lot of concerns about deadlines and expectations not being met when it comes to times that are continually pushed back. Will this be resolved? Emblem, logo and symbol editor (tentatively). 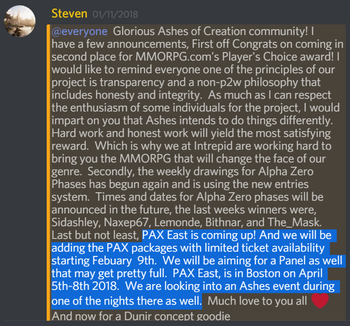 The Beta-1 and Beta-2 testing phases of Ashes of Creation will be short. Beta testing of Ashes of Creation (the MMORPG) will be closed. 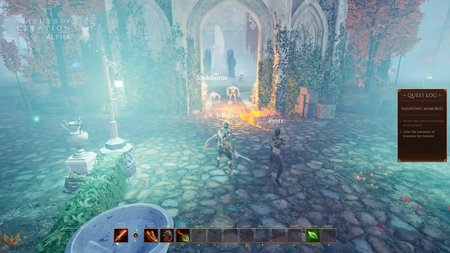 Ashes of Creation Apocalypse has an open beta testing phase, starting December 18, 2018. 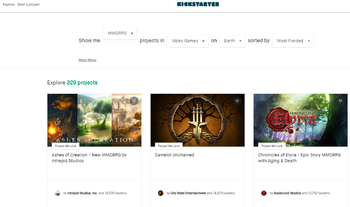 Head start grants early access one or two days prior to the live launch of Ashes of Creation for crowdfunding backers at the Founder level and above. The number of head start servers is estimated to be three. This is subject to change. 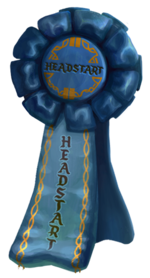 There will be an OCE headstart server. 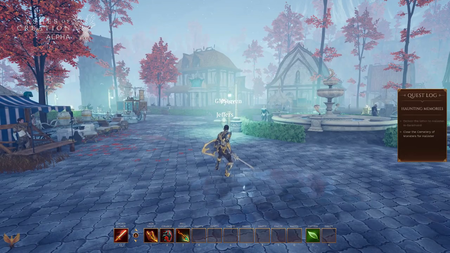 The game functionality is limited during the head start period so that players cannot decide the world-scape earlier than others. 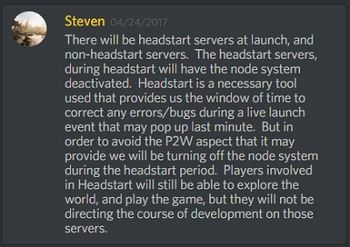 During the head start, the node system will be deactivated. 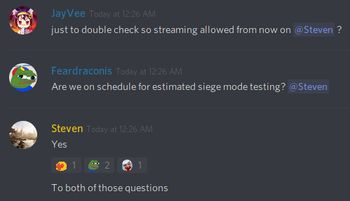 Head start specific servers are also planned. It will not be possible to secure player housing during the headstart period due to the deactivation of the node system. Alpha-1, Alpha-2, Beta-1, Beta-2 are not covered by NDA. 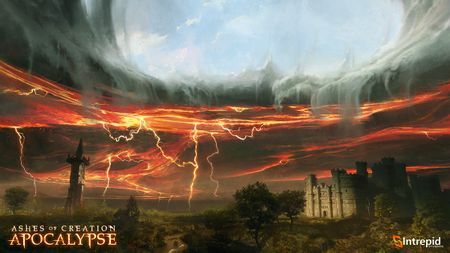 Ashes of Creation Apocalypse battle royale stress testing NDA was lifted on 19 October 2018 at 6:30PM (PDT). This NDA applies to visual content from the Ashes of Creation Apocalypse stress test. 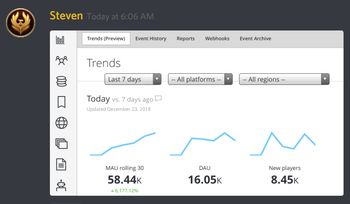 Alpha-0 had over 2,500 participants. Alpha-1 and Alpha-2 are expected to have 10,000 participants. Beta-1 and Beta-2 are expected to have 27,000 participants. 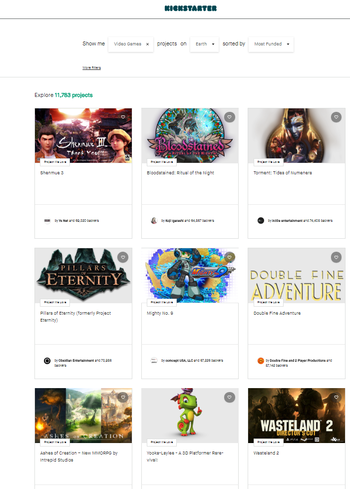 Alpha and Beta participation is expected to grow with the sale of pre-order packs. 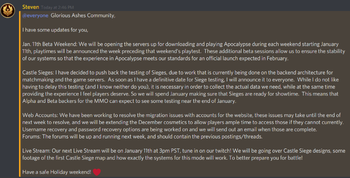 Alpha and Beta servers will be wiped prior to launch. ↑ 1.0 1.1 Blog: Creative Director's Letter. ↑ 4.0 4.1 Livestream, 18 January 2018 (2:48). ↑ 5.0 5.1 5.2 Livestream, 1 September 2018 (54:06). ↑ 8.0 8.1 Press release - Ashes of Creation Apocalypse Launches December 18. ↑ 11.0 11.1 Livestream, 8 March 2019 (1:02:45). ↑ 13.0 13.1 Livestream, 8 March 2019 (38:30). ↑ 14.0 14.1 Livestream, 18 January 2018 (25:22). ↑ 20.0 20.1 Livestream, 8 May 2017 (11:14). 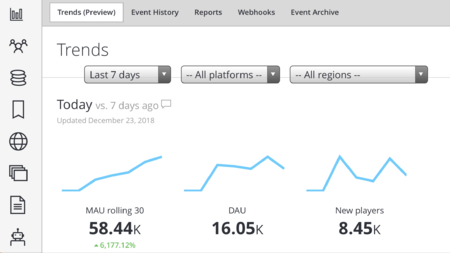 ↑ 21.0 21.1 21.2 Kickstarter packages. ↑ PAX West 2017 Alpha package. 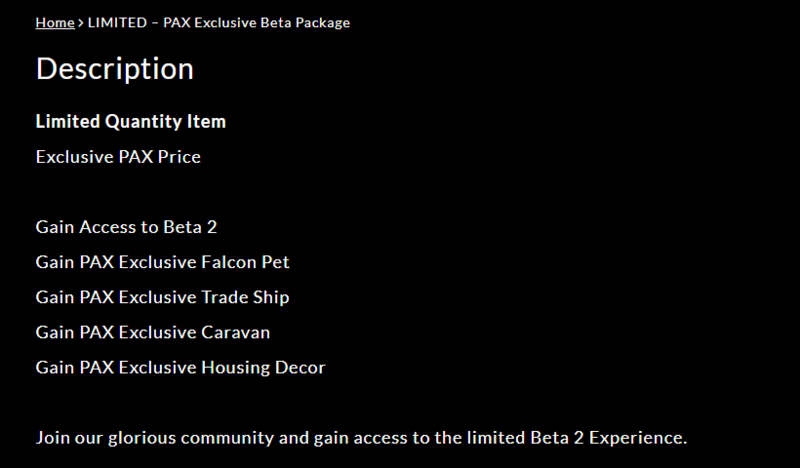 ↑ PAX West 2017 Beta package. ↑ 32.0 32.1 Interview, 24 August 2018 (13:17). ↑ 33.0 33.1 33.2 Livestream, 17 August 2018 (30:29). ↑ 36.0 36.1 36.2 36.3 Livestream, 1 September 2018 (1:05:10). ↑ Livestream, 27 September 2018 (9:50). ↑ 48.0 48.1 Livestream, 31 October 2018 (41:17). ↑ 50.0 50.1 50.2 Interview, 20 October 2018 (2:29:14). ↑ 57.0 57.1 57.2 57.3 57.4 Livestream, 1 September 2018 (1:02:99). ↑ 59.0 59.1 Interview, 8 August 2018 (19:02). ↑ Interview, 20 October 2018 (0:00). ↑ Interview, 20 October 2018 (12:38). ↑ Livestream, 31 October 2018 (47:44). ↑ 66.0 66.1 Livestream, 31 October 2018 (57:22). ↑ Livestream, 8 April 2018 (AM) (6:39). ↑ Podcast, 4 August 2018 (2:00:05). ↑ Interview, 8 August 2018 (25:53). ↑ Livestream, 18 January 2018 (49:26). ↑ Interview, 24 August 2018 (12:18). ↑ 81.0 81.1 81.2 Livestream, 17 November 2017 (28:50). 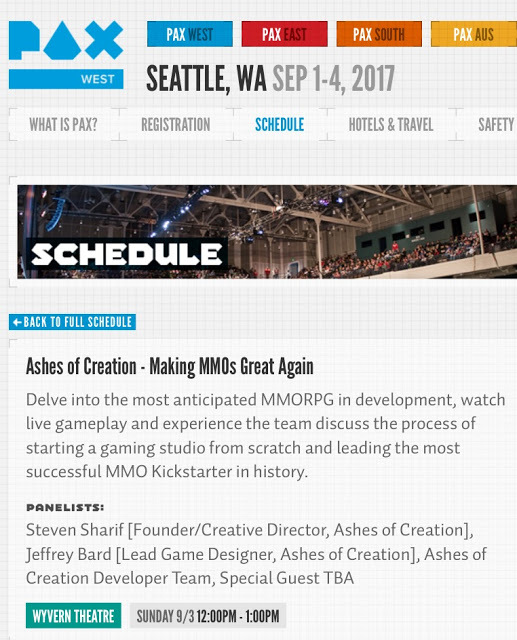 ↑ 83.0 83.1 83.2 MASSIVELY OP interview: Ashes of Creation on a new way to MMO.